Documentaries that focus on outrageous figures rarely live up to the personalities they’re trying to capture. How could they? It’s almost an impossible task. Lately, I’ve been a little underwhelmed by the profile of André Talley ("The Gospel According To André") and quite disappointed in the film about Vivienne Westwood (“Westwood: Punk, Icon, Activist”). These movies are just too tame, too ordinary for their iconoclastic subjects. Westwood even denounced the documentary about her. In some respects, Anthony Caronna and Alexander Smith’s highly informative film about Susanne Bartsch follows a lot of those familiar documentary beats. Yet, Bartsch is a willing participant, inviting their cameras into her home and parties with a warm greeting. Her openness feels so much more candid, creating a sense of intimacy too many bio-documentaries lack. She’s not guarded against questions and has no interest in what others think of her answers or actions. Caronna and Smith mirror her irreverent attitude by keeping in the less-than-glamorous moments. The most noticeable of which happen when Bartsch throws diva-sized meltdowns when one of her performers shows up late to her party or her hair and makeup stylists aren’t giving her what she wants. There will be her fury to pay. That’s just who she is, and she is never sorry for that. 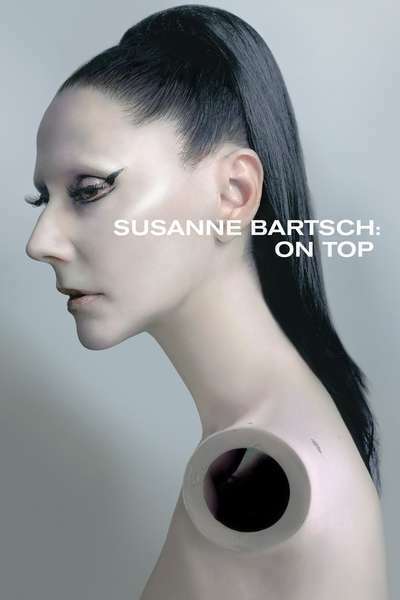 Not to be outdone by its star’s larger-than-life persona, “Susanne Bartsch: On Top” is rich in personal archival footage and first-hand accounts. It’s as if every other clip in the movie is a peek into a bygone era. Bartsch still lives in one of the cramped apartments of the Chelsea Hotel, as if the two New York City icons were holding onto to each other as the neighborhood and city changes around them. Bartsch first made the jump to New York City in the grimey early ‘80s. Originally from Switzerland with a brief stint in England, she helped import the London punk scene to her Chelsea boutique and quickly ingratiate herself into the nightclub scene. Years later when responding to the AIDS crisis decimating her friends, Bartsch rallied companies for a fundraiser, invited artists and fashionistas and booked vogue dancers from Harlem to stage a ball. Including the Uptown queer community in the conversation of what was mostly depicted as a Downtown crisis was uncommon then, and it was a large-scale, public display of support for ostracized groups. As the watchful den mother of the New York City nightlife, her occupation goes beyond event planning. She’s also a designer and mentor to the creative performers roaming her parties and warming up the crowds. The words “dress to impress” aren’t just suggestions but a mantra. The film dedicates plenty of screentime to the inventive artists coming up with surreal costumes that would be at home in a Dali painting. Lovingly composed montages of footage from the dance floor blurs the shots of gorgeous people just having a good time. The club’s multicolored lights bounce off skin and sequenced outfits like a disco version of the aurora borealis. At certain points in the movie, the parties stop long enough for Bartsch to become candidly introspective about her life. Peeling back layers of costumes and makeup reveals an artist who learned what it meant to lead a double life when she found out her father had a mistress and a hidden family. She’s a performer who fell in (and out then back in again) love with an unlikely beau, a bodybuilder, and balanced her wild schedule to play the part of a mom to her son. These stories are just as moving as the adoring testimonials from other artists. Bartsch is both a keeper of New York City history and an enigmatic figure who’s managed not to be priced out or aged out of the club scene. RuPaul, who counts himself as one of Bartsch’s protégés and one of the executive producers of the documentary, heralds her as the spiritual successor to Andy Warhol. Like Warhol, Bartsch has a gift for gathering artists and creatives. That she can bring people together to celebrate life, find love on the dance floor or express themselves for decades is testament to her mastery. This documentary gives audiences, new and veteran club kids alike, a view from where Bartsch sits in this storied city’s clubs: on top.